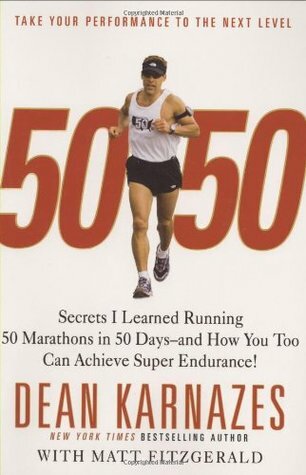 I started reading a new running book about running marathons written by the same great ultra-marathon runner, Dean Karnazes and it’s great though I was more interested into his advice for runners and less the story part. The book doesn’t have much tips and tricks for runners or at least not for now since I just started it. In fact it feels like I’m just continuing reading his other running book I mentioned before. I just hope Dean will provide some solid help for runners. I kind of prefer following a handful of seasoned runners like Dean Karnazes or Charlie Engle than searching the web – too much junk out there. Will keep you posted if it worth a read.